As a patient, your respiratory disease is just one part of your life. We at Propeller know your time is valuable, and that the more time you can spend enjoying symptom-free days, the happier you’ll be. That’s why, as of today, the Propeller app has a brand new layout, designed to help you access the information and tasks you need as quickly as possible. We worked with patients like you to understand the areas of Propeller that are most useful and most commonly accessed. And we used that information to design five intuitive tabs that provide a snapshot of your respiratory health journey. Home focuses on your immediate needs for the day. It helps you think through when you need to take your medications today, what you should be aware of and what you need to prepare for. The home tab helps reassure you that you have the right game plan for the day and reinforces your drive to do. 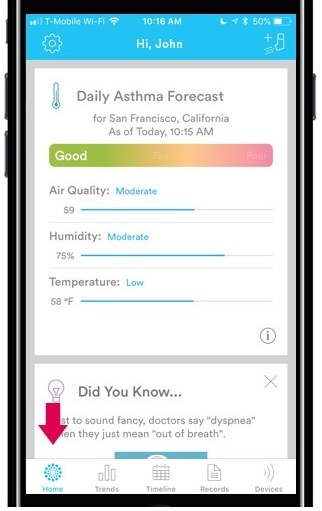 Trends gives you insights into the current state of your asthma or COPD. 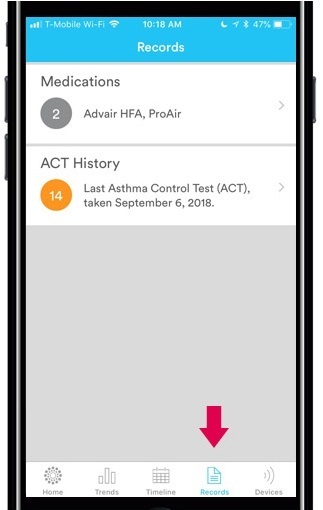 It helps you understand how your asthma has been recently, what your medication use is like and what insights you can glean from trends in your data. The trends we share with you will be personalized to your disease and where you are in your health journey. Timeline is the chronological journal of your experience as a patient, including your health and medication details. It helps you remember whether you took your medication the other day and what the environmental conditions were when you had an attack last week. Timeline is the milestone perspective that depicts the tapestry of your health events. Records takes the perspective of the archivist. 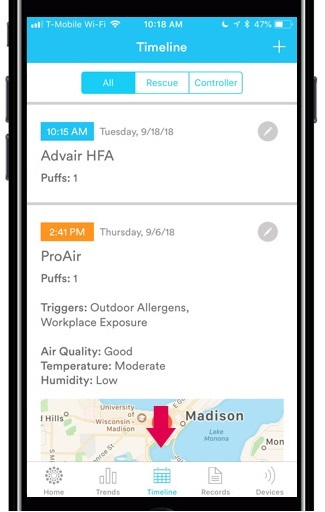 It’s for when you’re wondering where to view your historic medication use, what your seasonal allergies were like last April and how your asthma has progressed over the last year. Records allows you to access your ACT history and medications to get a fuller view of your health over time. Devices helps you manage the physical hardware connected to your app. 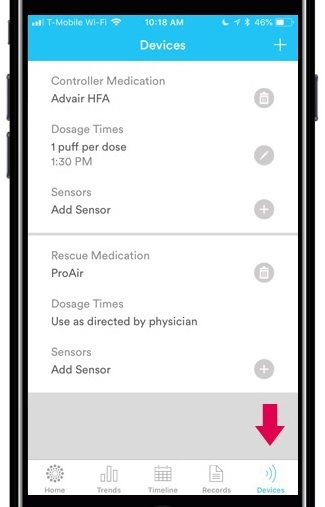 It helps you understand how to connect your device, or how to find your inhaler. Like any great technology manager, Devices has the answer ready the moment you think of the question. 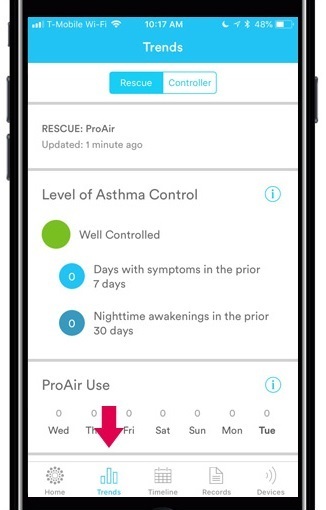 Our goal at Propeller is a platform built for the reality of managing your respiratory health. If you have feedback or suggestions for how to improve our platform going forward, please don’t hesitate to reach out to [email protected].